What a lovely post - gives us all hope with those stories hidden away we keep on dusting down in the hopes of finding a publisher. 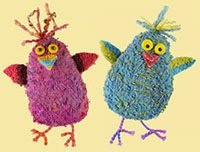 Also gives me hope for the first rhyming book I've just sent off. Finally congrats on getting it published and I'm sure it'll do well. Thanks Lynne. Sometimes there's gold under that there dust! Good luck with yours. Thanks Malachy for capturing so well the myriad re-touchings that make something fly (no matter what the artform) and the importance of team-work... but also how vital it is to keep to your own editorial line even when the road to publication is so lengthy. This account could be the beginnings of your autobiography - a nice contract to be offered in a couple of days. Who knows. Yes, it's that balance, Alison... If picture books come from a true place in the heart, then it's important to give them every chance to find their place out there in the real world, taking every offer of assistance, but crucial to hold to the truth of their source. Wow what a saga! This is a really useful post, Malchy. Not only does it give me hope for all those old texts I have sitting around, but it really makes it clear to new authors what a long journey it can be to publication sometimes. Well done for sticking with it and congratulations! Thanks, Abie. It's hard to work out which texts to let go of and which to hold on to, but sometimes we know deep in our hearts which are the ones that really matter. Ah, but that 'snuggle sandwich' idea is just so perfectly right in describing those child parental moments that it HAD to work in the end. It looks a lovely bedtime book to share, so well done, Malachy. Thanks Pippa. Persistence pays, yet again. Adored reading the biography of The Snuggle Sandwich. Really interesting and thank you for allowing us so much insight into the publication history. You've encouraged me to not feel guilty about resurrecting those stories that don't want to fade. 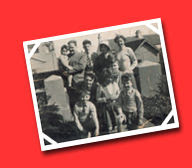 By the way, I was particularly intrigued by the photographic montage from your childhood. What an excellent idea for those who had mainly happy childhoods. Sometimes, though they fade, you can add new and even richer tints. What a wonderful insight into the world of publishing. As an unpublished author I am guilty of impatience; thank you for posting this as it is a remider that with perserverance and patience, goals can be achieved. P.S, snuggle sandwiches with my two little lads are the most wonderful thing in this world; what a lovely thing to capture in a picture book. 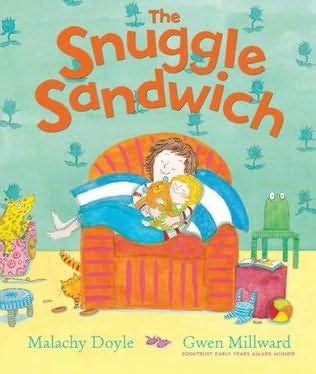 We never actually called them snuggle sandwiches when ours were little, so it's lovely to discover how many people understand and even use the term - I thought I'd invented it! Good luck with the stories, Schez. I LOVE this post. The journey this manuscript took, it's growth, and your persistence are inspirational. As a fellow-rhymer, I also found it encouraging. Can't wait to read it! Aw, thanks. For all the reasons Juliet Clare said on a previous post here, I'm wary of rhyme. But there's times when it's the only true way to tell a particular story, and this was always one of them. So good to hear it's 3 year-old Malachy's time at last! It never would have got there if you hadn't realised your story was ready for that overhaul. Good luck - I also have a soft spot for Andersen and hope that one day I'll have another one for them! Yes, Klaus remains a tour de force of children's publishing. Long may it last. What a wonderful publication story. Congratulations! It is indeed so hard to know what to keep working on and what to lay to rest. Best wishes! Thanks Catherine. The essential is to keep creating new stuff, but sometimes the older ones just refuse to lie down and go silent. If they shout loud enough in my head, I listen. Thanks Jean. I wish you all the best in finding a home for your story. Thanks for being so generous when sharing your publishing experiences, I have enjoyed your previous posts and love this one. I am so glad Snuggle Sandwich found a publisher at last! Thanks Amanda. As well as having a long memory, I seem to keep emails for a long time. Comes in handy, when you want to tell a long-drawn-out story like this one! Thanks for the post, Malachy. Really interesting. And I LOVE Gwen Millward! She did The Beasties, which I think is fab. How exciting. And I love reading about the editing process when choosing to work with -or ignore- feedback from others. So glad its time has finally come and it's only as it is because of all that waiting (and writing loads of other books in the meantime). And I agree that some books just need to rhyme -and that that's the time to use it! Yes, I loved the Beasties, too, Clare, which is why I asked for Gwen. I'd assumed it was an Andersen book, as it was written by the wonderful Jeanne Willis, but it turns out it wasn't. Andersen, though, really wanted to work with Gwen. They sent the text first to her mother, Jenny Nimmo, who really liked it and put in a good word for me! Sorry - got in a muddle there. The Bog Baby was the Jeanne Willis one. The Beasties, of course, was the one she did with her mum. Gwen had done fantastic little-creature stories, but I'm not sure if she'd done any with actual humans, so it was a leap of faith on my and my publisher's part - but it paid off, big time. I never knew Jenny Nimmo was her mum! I'm going to tell my children in the morning (they love it too) and they'll say 'that's awesome!' -their current favourite phrase. I've used it in schools to introduce a game I play with the children on author visits as it's great for using objects to tell stories... Love the story of sending it to her mum first! It's because Rona (my editor at Andersen)is a good friend of Jenny's, as is Celia, our agent, - who tells me that the family in The Snuggle Sandwich bear a surprisingly close resemblance to Jenny and David (who's a highly esteemed artist), and their children when they were young. So someone else has a good memory of childhood, too! Great story! Really looking forward to reading your book soon. Wonderful information. It was great seeing the evolution of The Snuggle Sandwich...Wow! Thanks for sharing lines from the text...it was fun reading them. I love rhyming picture books and when they're done right I am just delighted as the words sing the story. Thanks for sharing! Thanks Penny. I really like your line 'the words sing the story'. That's what I try and do in all my picture books, rhyming or not. Rhythm is as important as rhyme, if not more so. Hope we'll get it in the States too! So do I, Julie. I haven't heard of a US release yet. Great to hear it is coming out at last. The time has come!You should have a sandwich and hug-based launch! Yeah! A Peanut Butter Party. Except I'm a marmalade man myself. So much so that one of my cats is called Wilkins, after my favourite marmalade - Wilkins Tawny Orange. I am so unutterably chuffed that in a very small way I was a part of the acceptance process...and that you mentioned me at all!! We all have our part to play, Anthea... I actually think it might not have been published without the nudge you inadvertently gave me. Hoping, selfishly, that I get a room to myself! I would not want to inflict all my nocturnal tossing and turning..and probable snoring....on a stranger! I am not good with sleep deprivation! You sure know how to sell a course, Anthea! Wow, it pays to stick with it! Congratulations, Malachy.